Teamwork is a word we often hear applied to the business world and to that of the professional athlete. Since so much of our musical life is spent alone practicing or auditioning, it is easy to forget that making music is essentially a collaborative art which requires a very specific contribution from each member of the team. 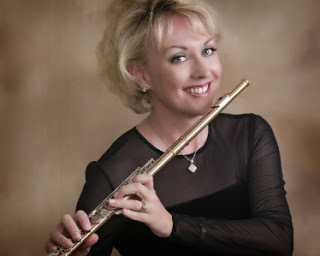 The flute section is a specialized team within the larger framework of the woodwinds, which interface with the rest of the orchestral brass, strings and percussion. If your work involves any other audio or visual components, such as a ballet, opera, or film, you have an even larger team of players. This ever-expanding network of artistry pulls together to deliver the finished product for our audience to enjoy. Each member of the flute section has a unique contribution to make towards the finished product. The piccolo chair is one of the most unique positions in the symphony orchestra because often you are acting as a section player and a soloist within a single work. For example, Bartok’s Concerto for Orchestra contains some of the most delicately demanding piccolo solo passages that alternate with low 3rd flute passages, designed to blend rather than stand out. The player needs to recognize the difference in these kinds of writing for each instrument, adjusting the blend and balance as the lines dictate. Many composers, particularly in the 20th century, write for multiple piccolo players. Shostakovich is a prominent example, but there are many other piccolo duets in the romantic repertory as well as the post-romantic writings of Strauss and Mahler. The question as to which player would play which part often arises. 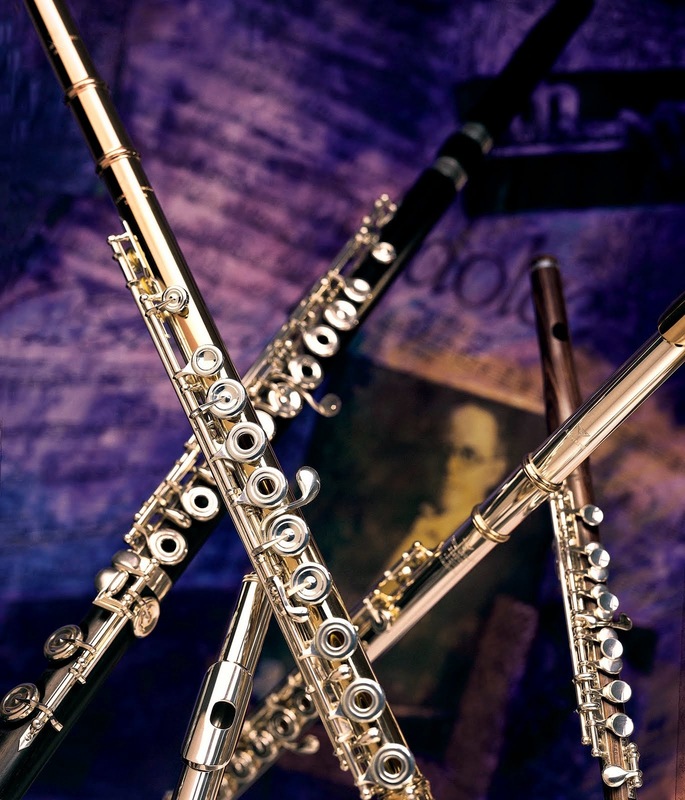 Many times there are not set designations on 3rd flute/piccolo and 4th flute/piccolo parts to indicate which part contains the lead, or 1st piccolo part. To make matters more confusing, there are no universal rules to determine this: it needs to be handled on an individual basis. For instance, Symphony # 4, by Gustav Mahler, is scored for 4 flutes, with two flutes doubling piccolo. The most prominent piccolo solos are contained in the 3rd flute/piccolo part. Mahler’s Symphony #3, also scored for a flute section of four players, all doubling on piccolo at some point, has the most prominent piccolo solos written into the 4th flute/ piccolo part in the Kalmus edition. In Mahler’s Eighth Symphony, the ‘Symphony of a Thousand’, the score demands huge forces on stage, including a flute section of six players. Parts one through four are for flute only, with flute 5 doubling on first piccolo, and part six is listed as second piccolo, no doubling. There is a very exposed solo doubled with the celeste in the 5th flute (1st piccolo) part at measure 199. This part is doubled in the 2nd piccolo part but is often played only by the 1st piccolo player as a solo. If there is any doubt as to which part should be played by whom, a thorough investigation of the score can reveal the location of the solo passages which should be played by the piccolo specialist regardless of the numeric ranking (1,2,3,or 4) of the actual flute doubling part. Listen to the principal flutist for cues of balance, pitch, style and articulation. The principal player is also responsible for setting the general dynamic level and timbral qualities of the section. Never play with a more intense or intrusive vibrato than the rest of your section. As the highest voice in the orchestra, be especially careful to match lengths of articulated passages: piccolo players do not want to hold releases past the flutes. You may need to articulate lighter and more crisply to match the timbre of orchestral bells, a frequent color combination. Intonation on the piccolo is critical. Work with a tuner so you know the particular tendencies of your instrument. This is a great help when you begin to work within the orchestra. Many composers use the piccolo as a color addition to blend with the violin section. You will find that you need to adjust your intonation slightly higher, especially if you need to match a high harmonic in the strings. Using alternate fingerings to shade and blend is also very helpful. Another aspect of teamwork within the section involves warm-up etiquette, especially in scoring that requires multiple piccolos. Try to find a quiet area backstage to check intonation in unison passages. It will be much more productive for you to work in this manner and more pleasant for those seated around you. The second violins will be especially thankful for your sensitivity as they are your closest neighbors in most orchestral seating arrangements. Using a bit of common sense when testing passages can go a long way towards improving the disposition of your colleagues. Many orchestras provide a separate warm up room for the brass section that keeps the volume of the backstage area more conducive to quiet work. Ask if you can use this special area if there is something particularly powerful that you need to try. Common sense also dictates extra sensitivity when working in close quarters in an orchestra pit. Testing every high passage in full voice during a warm up in the pit is not necessary: go backstage to do your personal preparation and the atmosphere of the pit will be so much more pleasant for all seated nearby. Sometimes being a good musician is a lot like having good manners: you need to put the needs of fellow musicians higher than your own needs. Remember also some of the basics of orchestral manners: never play anyone else’s solo, and to never turn around to see who is playing during a performance. These are considered breaches of etiquette in every professional situation. Most importantly, be supportive of all your colleagues, especially those in your flute section. The greatest musical experiences are not found in solitude, but through the collaborative efforts of the orchestral team. We are truly stronger when unified, and enjoying the fine work of our colleagues is a great part of the orchestral experience. Although our teams don’t score goals or points, we can certainly all pull together for an art form greater than any one of us alone, music.